I received an email today from a guy I have something in common with. He too inherited his ex-wife’s wedding dress. Terry’s ex-wife might have even been trying to send a stronger message than mine. Seemingly she took the dress out of its preservation box and hung it up in the closet of a home they once shared for him to find when he back to collect some things for the last time. 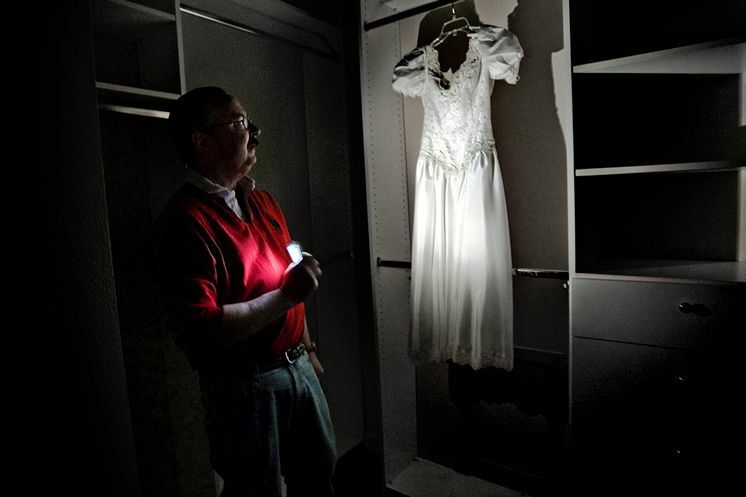 He says it was creepy finding it hanging in the dark closet – like something out of a horror movie. And you can learn about the proposed changes to the Florida Alimony guidelines here.